Perhaps you have just recently stayed at a five-star, luxurious hotel and had one of the best sleeps of your life. What might have caused it? To start, it was probably the lovely bedding that you laid your body on. Plush and soft, you almost seemed to melt right into the sheets and you felt like you were sleeping on clouds. Really, you would not have trade any experience for that night. That said, you have since been inspired to recreate that amazing experience within the comforts of your own home, let alone your own bed. However, you do not know just how to go about it. Not only that, but also you might be overwhelmed by the possibility of having to buy all-new materials, even a new bed, just to get the same feeling right. However, there is no need to worry: this article will give you some of the tips and tricks to turn your bedding into the best sleeping experience possible. Let’s get started! Before you go ahead and jump right into bedding your bed, it is necessary to take a step back and consider the crucial items you will need to make it the most comfortable time of your life. This does not necessarily mean purchasing the most-expensive, high-quality materials out there—in fact, with a bit of a reasonable budget, you can actually spend no more than $100 on a priceless night’s sleep! – Pillows. First things first, you will need to have some pillows to support your neck when lulling into that REM sleep. While you do not need to go about buying $200 pillows, getting rid of any old pillows which have long since lost their shape and support is a good idea to consider. Essentially, what you should look for are down pillows or invest in a memory foam version: each little bit of comfort makes a difference! – Sheets. With sheets, you will need to consider the thread count, along with the material it is made from, e.g. linen, silk, rayon, etc. Not all are the same, so finding the material which suits you the best will be an important factor in making sure your bed is comfortable to want to sink into. 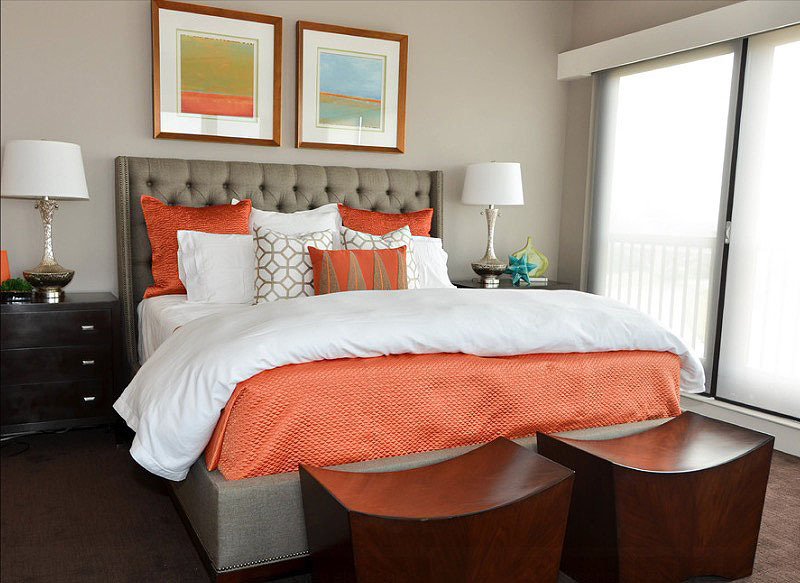 When it comes to thread count, it is ideal to settle for more, rather than less. Many items range from 80 to 2000 thread counts, although a good baseline is anything 800 or over. Having more thread counts guarantees softer sheets, which makes all the more worthwhile to nestle yourself in. – Padding. Finally, it comes down to just how plush or firm your mattress is, which can really determine just how good (or bad) your night’s sleep is. Having too little padding can cause aching muscles the following morning, due to lack of support, so knowing just how many to stack up will be crucial to ensuring a comfortable time in bed. Insert the padding onto the mattress. Generally speaking, having somewhere between three to five mattress pads is good enough to achieve that hotel-standard bed. Simply put, it is a matter of laying them out evenly over the bed frame, making sure they are aligned with the edges and smoothing out any creases on it for a solid finish. Lay out the sheets. While it might be tricky for beginners, putting the sheets on your bed can require a bit of energy and work, but it is relatively easy to do. Make sure that the sheets are completely over the mattress and padding before spreading it out evenly. Tuck the hanging parts into the foot of the bed, and fold up the sheets near the headrest. All that is left to do now is to simply accessorize! Finish off with pillows (and other accessories). Once all of the essentials are taken care of, it is time to start furnishing it with soft, plush pillows. You do not need to use 20 of them (as it is at hotels) to feel comfortable—in fact, merely two or three of them can easily do. Line them up however you want at the bed’s headrest, and you are set! In addition, you can also add other accessories, such as bolsters, to spice up the aesthetics of your bed. They can also help accentuate comfort, thereby giving you a good rest after all this work! Overall, making your bed the most comfortable you can does not need to be a tedious, expensive task. In fact, with a good budget and a bit more motivation, you can ensure a lovely bedding to call your own. Look forward to the next night of restful sleep! Guest Post By – Christine is interior designer and blogger. She loves to shares things he has learned by experience. She is founder of comforterexpert.com where she answers questions like buying the comforters.